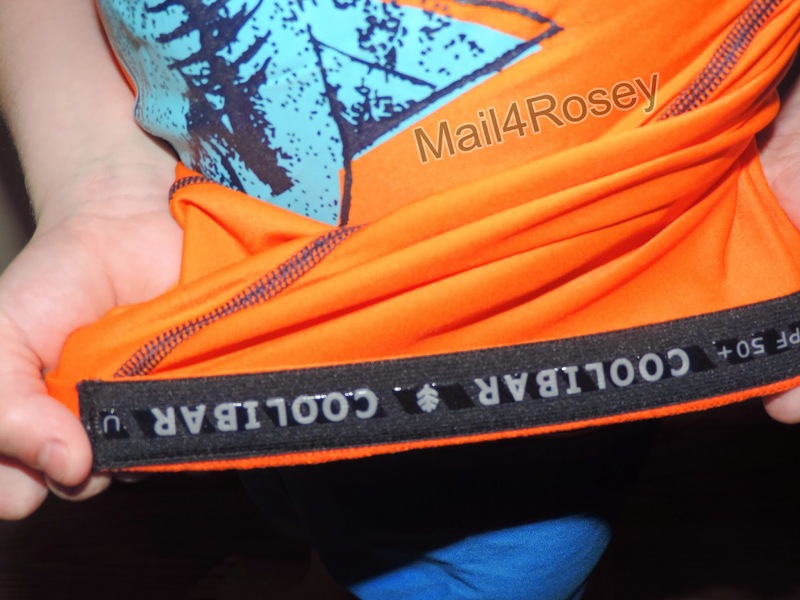 Mail4Rosey: Coolibar has a Guaranteed UPF 50+ rating for the life of their garments! Coolibar has a Guaranteed UPF 50+ rating for the life of their garments! I'm waiting for the weather to warm back up so I can get him out and playing! When it does, I want to be sure his skin is protected. With Spring in full swing, nothing beats getting outside to participate in your favorite sport. Whether it's running, golf, fishing, swimming, cycling or just cheering on your favorite athlete at practices and games, sports and outdoor enthusiasts spend countless hours in the sun's rays, putting them at a higher risk for skin cancer. The Skin Cancer Foundation warns that a person's risk for melanoma doubles after five or more sunburns, making skin protection a priority for those who spend an extended period of time outside. In 2014, the acting Surgeon General issued a "Call to Action to Prevent Skin Cancer" because skin cancer rates continue to increase, even though most cases of skin cancer are preventable. The SCF recommends sun-protective clothing as the first line of defense against UV exposure, which can lead to cancer. Coolibar is the first sun protective clothing line to receive the SCF's Seal of Recommendation. That's a cool looking shark! I love the look of the clothes. 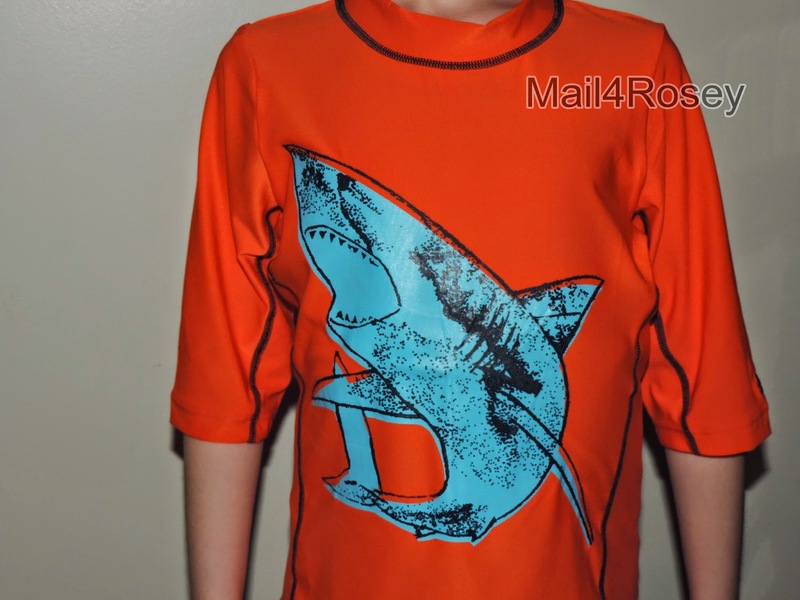 For my son, the shark print on the boys short sleeve surf shirt is just cool enough to get this instant sun protection slipped right on without a hassle. I don't have to worry about reapplying a ton of sunblock. He is continuously protected as long as he keeps wearing the clothes. AND it looks cute on him too. The stitching around all around is high quality and reinforced in areas like the neckline, arms, and sides. The grip bar on the bottom underside of the shirt keeps the shirt from riding up, even with the swiftest of motion or the strongest of waves. Both the shirt and the shorts were deemed extremely comfortable by my son who had no shortage of running around in them to test them out. · Wear lightweight moisture wicking sun-protective clothing. T-shirts are NOT adequate protection against UV rays. Along with the UPF 50+ rating in your clothing, it¹s important to wear moisture wicking clothing so you don't overheat. · A wide-brim hat is a must for golfers, walkers and spectators and provides extra coverage to the neck and shoulders, areas that often get more sun exposure. Every inch of hat brim can lower your lifetime risk of skin cancer by 10%. For runners, choose lightweight hats that cover the top of the head and neck. · When possible, avoid outdoor activity between 10 a.m. and 2 p.m., when the sun¹s UV radiation is most intense. · Keep sunscreen and a hat in your sports/gym bag so they are always available. Use a golf umbrella for shade when walking or waiting. · Remember to reapply your sunscreen every two hours, or more often if sweating or swimming. Use sport sunscreen so it doesn't run and irritate your eyes. · Wear sunglasses. In addition to protecting eyes from UV exposure, another cancer risk, the right sunglasses offer impact protection, and reduce reflection on the road, field or course. Coolibar is the most recommended and tested sun protective clothing company in the United States. Based in Minneapolis, the company was founded in 2001 to bring Australia's world-leading approaches to sun protection to the American market and beyond by producing and selling sun protective apparel for active families through catalog and online. Dedicated to the highest quality sun protective clothing, hats and accessories, Coolibar guarantees UPF 50+ ratings for the life of their garments. Each garment is developed with sun protection as the number one priority with a full line of proprietary SUNTECT® fabrics. Coolibar has been recognized by the Skin Cancer Foundation, the American Academy of Dermatology and the Melanoma International Foundation for effective sun protection. Coolibar Cares, the company¹s giving back initiative, supports programs such as SunAWARE, School Sun Hat program, Doctor Connect, the AAD Camp Discovery for sun sensitive children as well as athlete sponsorships and product donations. For information about Coolibar, go to www.coolibar.com or call 1-800-926-6509. You can also follow us on Facebook Twitter, Pinterest and Instagram. I need to get some of their gear for my boys. We will be outside all summer. These are a necessity here in Miami with the brutal sun and temperatures of the summer. What a great product line. We live in Florida so my kids definitely need protective swim gear! Cool clothes! And they're so cute! I'll be checking them out; Thanks! Love the tips, Do you know if they ship internationally and/or to Canada? I burn very easy myself, as well as my oldest. My Mom is prone to skin cancer--which is why I will be driving her to her dermatologist on Friday. I think I may suggest this type of clothing to her. Track season has just started for us. We need to get something like this for the kids! Thats actually awesome that they can put sun protection in clothing now! I will be the first to admit... I forget sunscreen so clothes with sun protection would be a time saver. This is a great concept. I need to get some for my grandkids. Thanks for sharing your review. Tyler and Alyssa really need some of these because they have fair skin. Aly was outdoors this week and got a sunburn in just a very short time. Thanks for sharing. These are some valuable tips. I know some people who have suffered from skin cancer and can benefit from these products. Thanks for sharing. Sun protection is so incredibly important, especially for kids. Did you know that most sun damage occurs before 21 years old? It's crazy! Here's to hoping skin cancer rates will go down because of protective measures like this. Things have changed a lot since we were young! aaaaaaaack! I don't know why you would, I hate pop ups! I don't want pop-ups, geez. I am going to Google and see why I'm getting them. I love that they protect him and are stylish! This clothing looks great. I love that they are sun protected clothing. I could really use these kinds of clothes for my kids. I love the design of this, he is all ready for summer fun! I will check them out, we need some new bathing suits. This is so cool. I never heard of clothing with built in sun block. Don't you just love Coolibar? I live in my Coolibar shirt and it isn't even summer yet lol. He looks so stylish in his too! This is awesome. I must get these for my grandchildren. It's so hard to keep sunscreen on kids. This looks like a great alternative. I like this. Any bit of protection against the sun is a good think. I'm glad it comes wth the seal of approval from the SCF. I really like that protective clothing. And great reminder about protecting yourself in the sun. This is a cute shirt. I am ready for some time outside too. It's been raining a bunch and my boys haven't had the opportunity to play outside much. During the summertime, I typically don't let them go outside until the evening when it isn't so hot and they are shaded by our house. I like the idea of having clothes that protect you. Oh wow a sun-protective clothing company! I sure want to get a couple of these for my boys who loves to play under the sun. That's a summer must-have! I love it! It's nice to know there are safe products out there to help your child from the harmful sun rays! That's a really good idea to have sun safe products that are also stylish and comfortable. I like the hem that won't ride up. It's so, so important to stay protected! I like that the line is actually attractive as it protects you too. This is so important. I've had my skin chopped so many times. I'm always preaching sun safety to my girls. looks like it's made out of high quality materials. This is perfect for summer. It's nice that they added the sun protection already in the clothes. Omg how awesome is this?!?! I need to see if they have any gear for girls. This sounds perfect for our trip to Texas this summer! This is so perfect for living in Georgia. If you've never been, I don't know how to adequately explain how incredibly humid it gets. It's bad. Oh yea this is the kid of clothing the kids here in LA needs! It gets so brutally hot in the summer! I love the colors on your big boy! These look awesome for the trip we're taking to the lake this summer! Way easier than trying to apply sunscreen a zillion times a day! He's got the poses down. :) Those look comfortable. Wow! So awesome that they're making those gears. We're gonna be out all the time this summer so we def need something like this. This clothing and apparel sound like they are totally amazing. I will for sure have to check this site out. I would love one of the hats.. Thanks for sharing. They look great on him! I'm always forgetting to remind the kids to reapply their sunscreen, so clothing like this would be perfect for my guys! What a great idea, especially for kids. I'll have to tell my daughter about this line of clothing, especially for my very active outdoors-loving 2 1/2 y.o. granddaughter! That is great that it has UPF 50+. Clothes like that would help out on outside events. I'm loving his shirt, and I'm loving the sun safety even more! I'm going to check out their line now. Thanks for sharing! Awesome! I need to get all new swim gear for my kiddos this summer. I have been looking all over for these! I will have to go check them out! Wow! Coolibar is really awesome! I am thinking of getting one for my kid and my nephew. They will be hitting the theme parks this summer and that shirt will definitely protect them from the harmful UVB rays! love the eye popping color and fun graphic! I so very need this for my water baby. Happy summer to the family! Thanks so much for sharing cooibar clothing. I think your mini me's shirt is really cute but more importantly, I love the sun feature. It's much needed ere since the kids have really pale skin and burn even through their clothes. Their shoulders are the worst areas. I have never heard of a clothes company marketing clothes with UV protection before! Plus, it doesn't hurt that the stuff actually looks good too. This looks like a great brand of clothes! I love that it has UV protection! It's great for being outside! This is the first time I've heard of Coolibar and I hope that one of the clothing companies here would bring the brand to my country. I see the importance of having extra skin protection especially when you're exposed to the sun. I llive in a tropical country and Coolibar would be perfect for us. They look neat even without the extra bonus of SPF protection. Wow this looks fantastic! :) I love that it has SPF protection which is really cool! :) I love that aspect. Thanks for sharing!! that's awesome it has SPF protection, I need this for my middle son. He is very pale. I love the shark print and colors! These sound perfect for our all day long visits to the beach. With the kids in the water for hours on end, it's hard to forget to reapply sunblock to their whole body. I'll be checking these out for all 3 of my daughters! 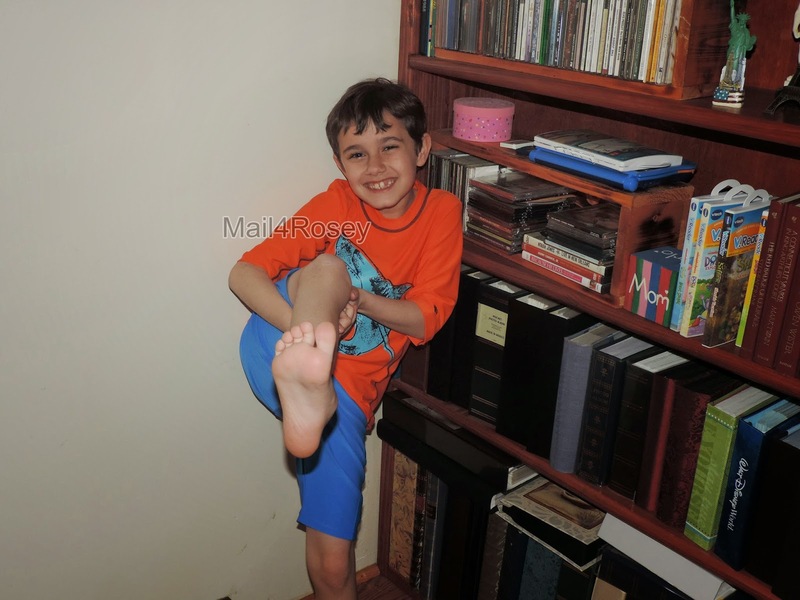 We all have such fair skin, I love putting my kids in rash guards. I love that it has that grip bar to keep it down. I wish Coolibar had been around when my kids were growing up! I love rashguards and the built-in sun protection is such an added bonus. I definitely need some of this! My daughter and I both have such pale and sensitive skin! This is lovely! I definitely want to get something similar for my daughter. Sounds like a great brand. I'm so glad I found this post, I'm going to need to get these for my boys this summer. Sun protection is very important to reduce the risk of Melanoma. My kids grow like weeds so I constyuy them swimwear every year. I will have to check out their selection. Sun-protective clothing sounds so freaking amazing! Hopefully this is still around by the time I have my little one because I will want to try this out. Anything to protect our kids from nasty sunrays. This is a great product & perfect for kids in the hot summer for protection! Since skin cancer is so preventable, I have been vigilant about sunscreen. I never thought that clothing with sun protection would be available. The shark design is very cool! This is awesome and perfect for summer heat both for comfort and protection. Thanks so much for sharing! I think this clothing is heaps good for children of all ages! It can be difficult to find here, especially for adults! My boys love these types of shirts! They are so lightweight and comfortable, and don't forget very stylish! I love their line! I have a sun hat and cardigan by them. I plan ordering some clothing for my children from them, too. 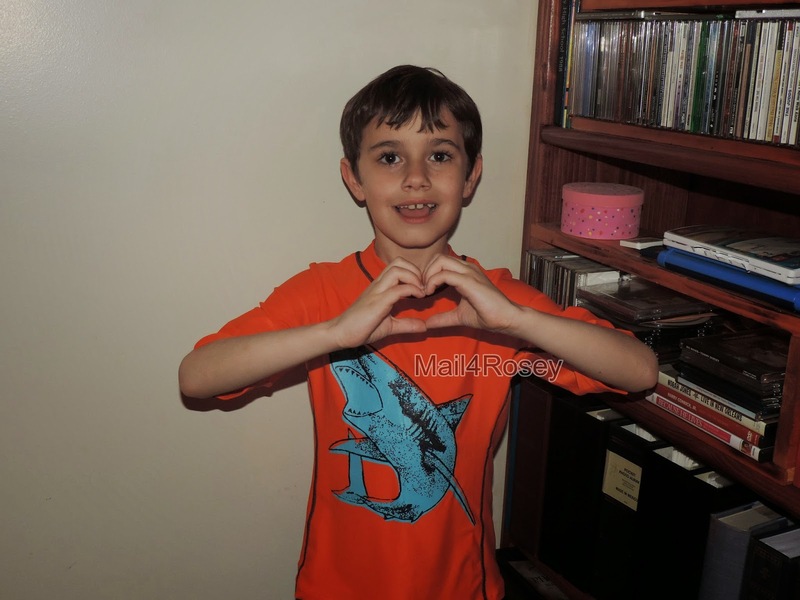 I have been trying to find more clothes that have UPF rating for the boys this summer. Thank you for introducing me to this brand. Wow! I've never heard of this great concept, it is a very brilliant idea! My nieces and nephews need this. I shall check 'em out! What a cool looking shirt. What a great way to keep your child protected. I really need to pick up some sun shielding swimsuits like this for my son. So important to keep their skin protected during the summer. I have been looking for UV clothing for my Grandkids and also my Hubs. He is Italian... but still, he needs the UV protection. That's awesome! That's quite a guarantee! I need to check these out. Seems like a great product with a great guarantee. I live on Marco Island in Florida, I need clothing like this to protect my skin! We are out in the sun all day! This is awesome. I need to get one for my boys! What an awesome line of clothing. I think this would be great for a day at a theme park or even just playing outside. In Texas the heat is unbearable sometimes. My kids are all beach babies and so this would be perfect for them. Enter to Win the Mpow Selfie Stick! Mall Cop 2 T-shirt anyone? #giveaway 9 winners! Enter to Win TWO Games from Winning Moves Games! Who Want to Try Some Dial Kid Products for #Free? FabKids: The Perfect Name for this Clothing Line! The Phantom of the Opera is Here!